Marilyn Manson And Rob Zombie Join Forces Again For Twins Of Evil: The Second Coming Tour - GENRE IS DEAD! Well, this is a little unexpected. 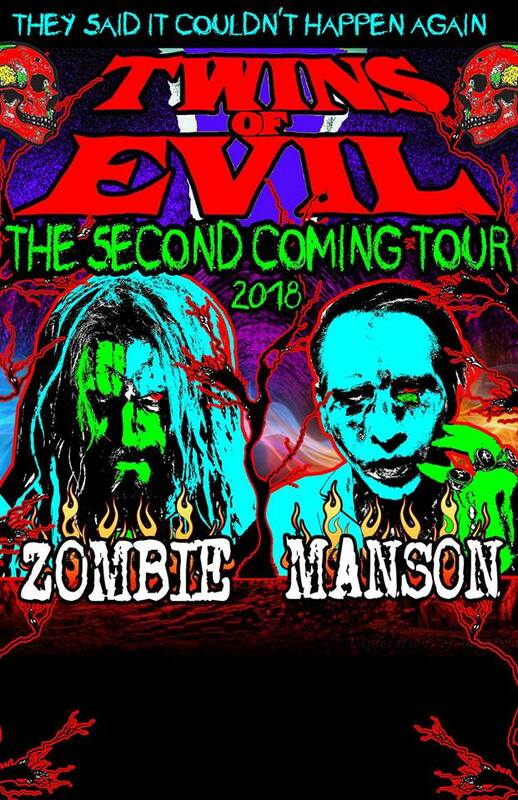 Marilyn Manson revealed on Twitter that he and Rob Zombie have joined forces once again for the Twins of Evil: The Second Coming tour. The co-headlining tour kicks off July 11 in Detriot, MI and wraps up August 29 in Irvine, CA. Check out the announced dates below. A Ticketmaster pre-sale will take place March 19 while everyone else will have a chance to grab tickets March 24. Considering their troubled history, it’s surprising the two are touring again. Maybe they can play nice this time around. Pingback:Listen To Rob Zombie And Marilyn Manson Cover 'Helter Skelter' - GENRE IS DEAD!